Brewfest Comes to League of Angels II! The most refreshing festival of the year is upon us! As people from all over the world gather in Munich, Germany to enjoy music, parades, and of course beer, League of Angels II has something planned for players around the world as well. 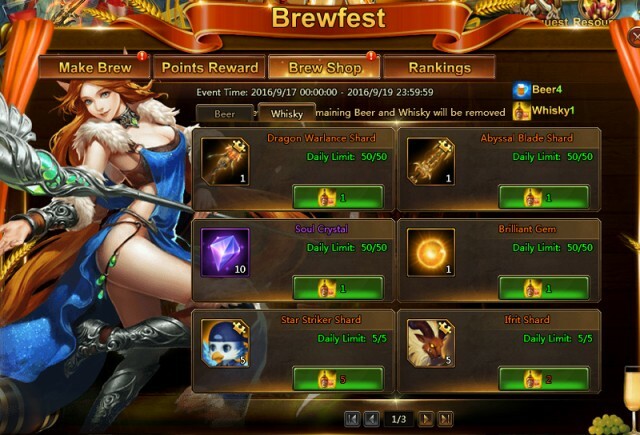 To coincide with Oktoberfest, the popular browser MMORPG is kicking off its own Brewfest event all weekend long! League of Angel II’s Brewfest runs from Sept. 17th to the 19th. During this festival event, players can craft delicious beer and exchange them for a variety of rare items and resources. Unleash your inner brewer and win rich rewards including the new Soul Arms! There are 3 types of brewing available to players: Regular Beer, Premium Beer, and Whisky. Click the icon of the brew you want to make, then click “start”. 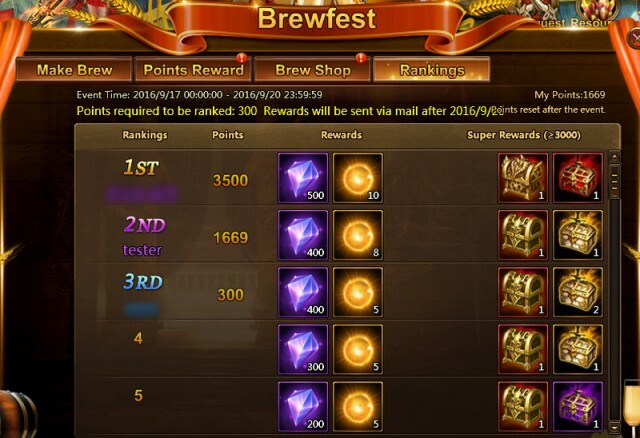 Players are able to win random rewards by making brews! Players can claim brewing materials twice a day, once before 12PM (noon) and once after. Players can also earn Barley in Events by completing certain quests. The brews you make can be exchanged in the Brew Shop for a variety of items. Players can claim point rewards for reaching corresponding amount of points. Don’t miss the most refreshing time of year in League of Angels II! 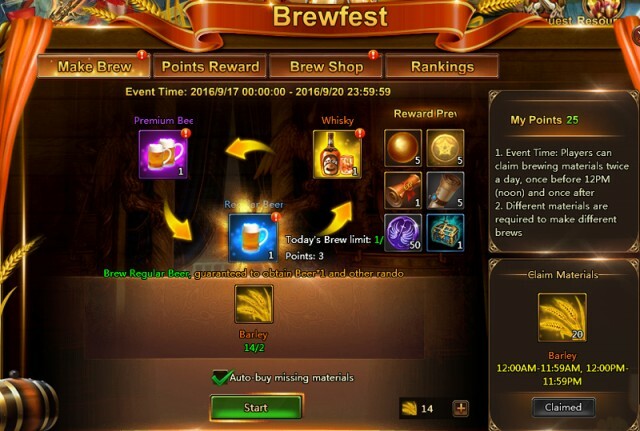 Participate in Brewfest, become a master beer maker, and earn lots of amazing rewards. Play League of Angels II absolutely free and join one of the fastest growing MMORPG’s in the world!